Autoradiogram of cross-section through body wall of Styela clava showing labeled blood cell nodules next to the atrial epithelium and in the connective tissue. 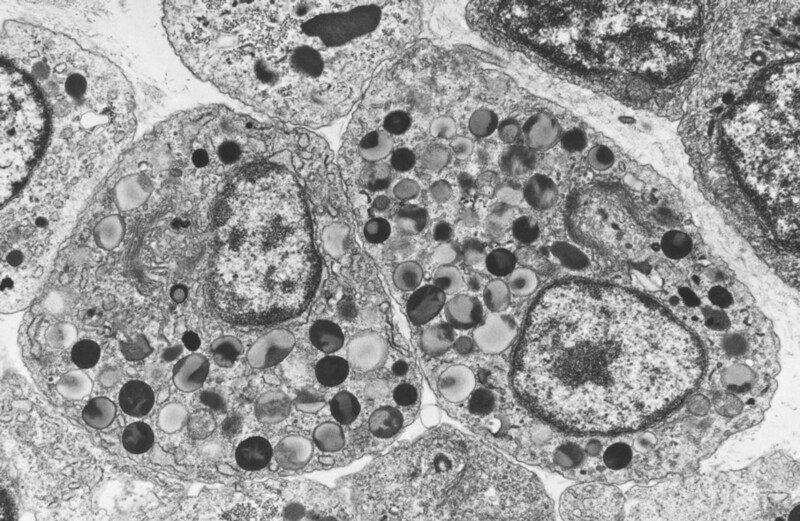 Cells in S-phase of cell division incorporate tritiated thymidine and were detected by the prolonged exposure of an overlying photographic film. Hematoxylin stain. 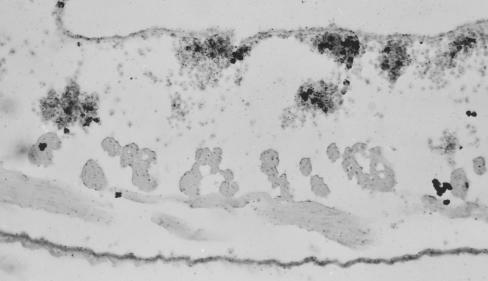 Electron micrograph of blood forming nodule in trasverse bar from branchial basket of Styela clava. Hemoblasts (H), the progenitor blood cells identified by autoradiography, give rise to several different types of granulocytes (GR). C, connective tissue fibers. P, pharyngeal epithelium. 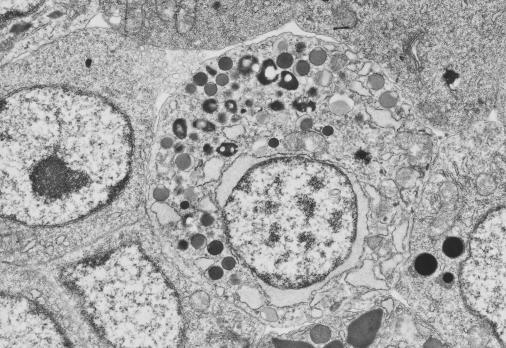 Electron micrograph of hemoblasts in center of a blood cell nodule of Styela clava. 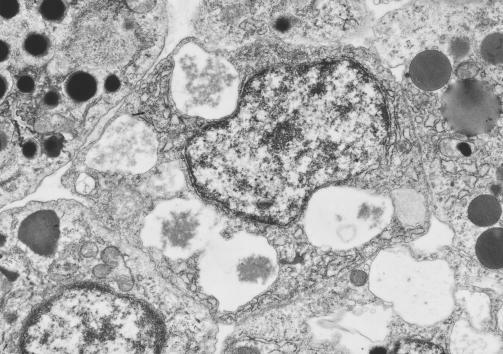 The cells contain numerous free ribosomes which gives them a dark blue-purple color in hematoxylin stained histological sections. DG, dense granule. 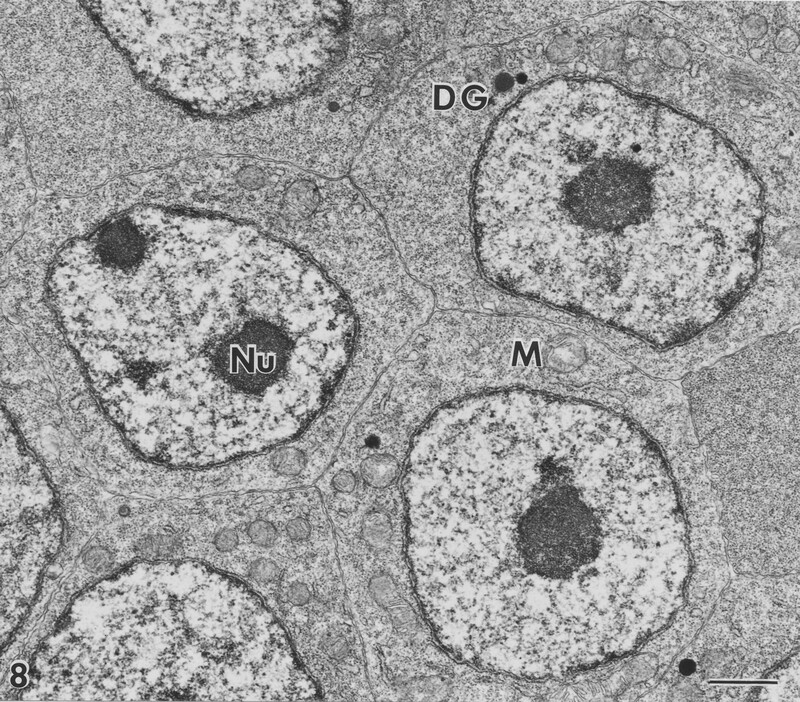 M, mitochondrion. Nu, nucleolus. 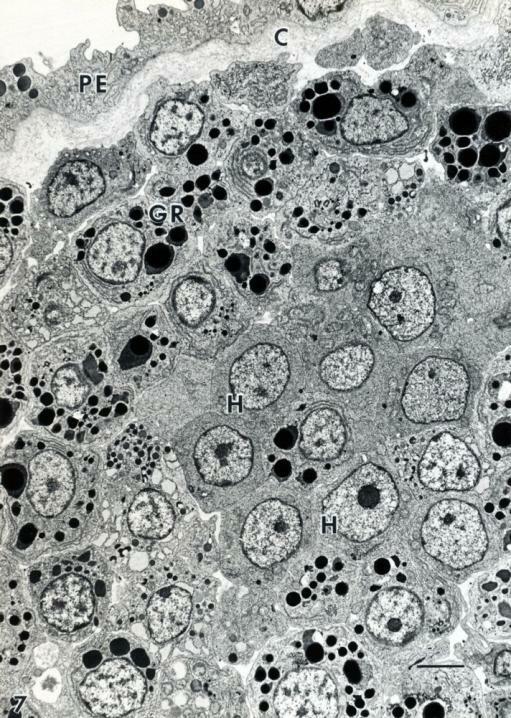 Electron micrographs of granulocytes in a blood cell nodule of Styela clava.